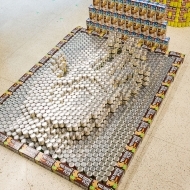 Remember the countless hours spent making a 3-dimensional pin rendition of your face with that thing you never really knew the name of? 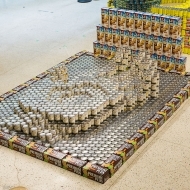 Here it is, the mysterious “Pin Art”, super-sized and Canstructed. 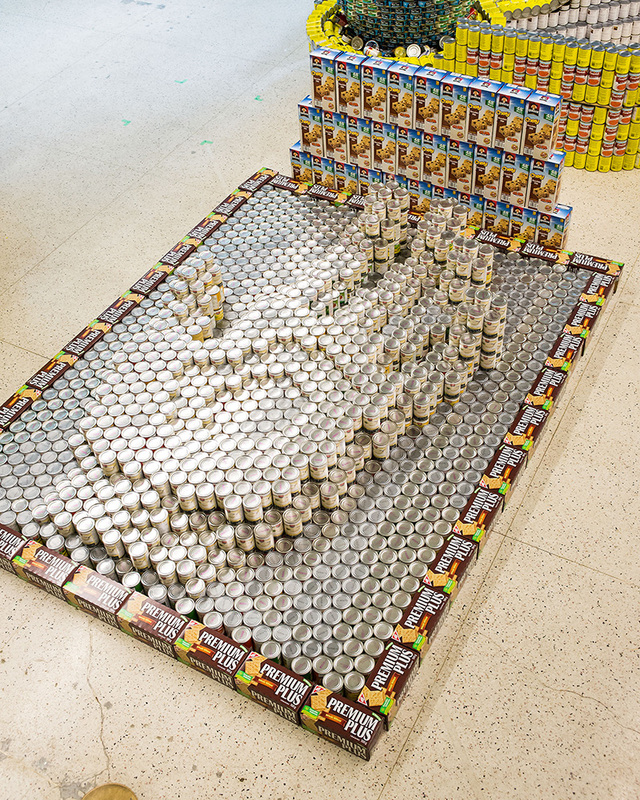 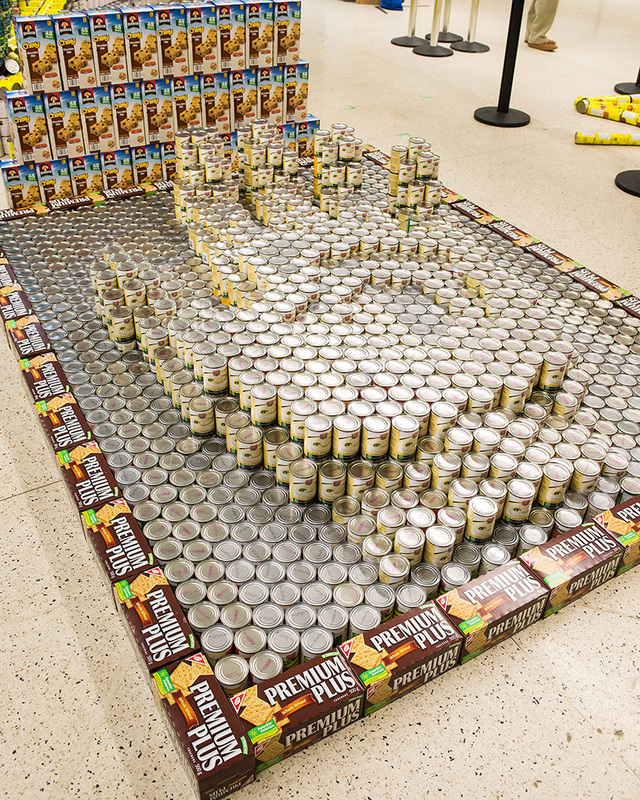 The beautiful thing about Pin Art is its ability to become whatever you want or need it to be – in this case, it has come to life in the form of a helping hand, or maybe even a helping CANNED, for Edmonton’s Food Bank. 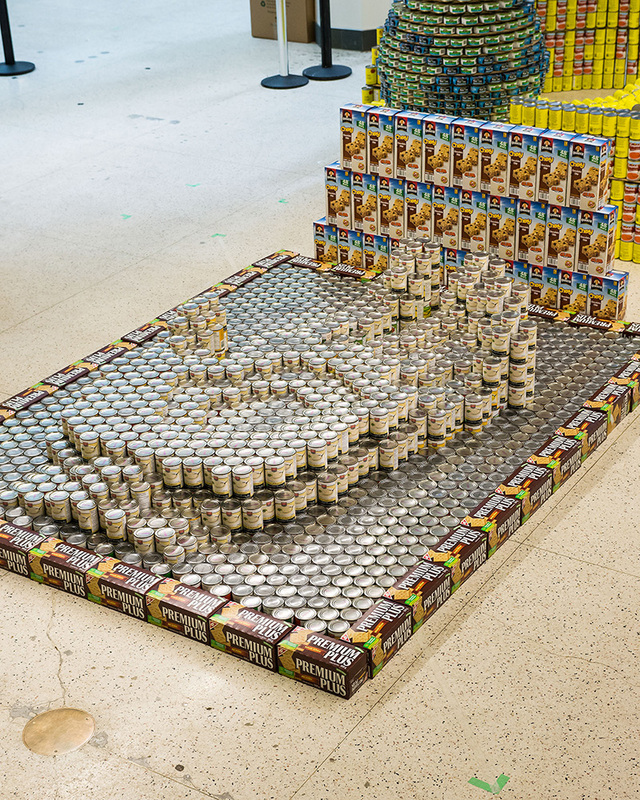 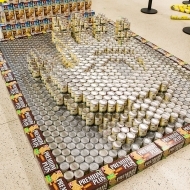 Pin Art meets Can Art and becomes a donation with heart. Chad Fletcher, Christina Schmidtke, Colin Lang, Daniel Yin, Harvey Yuen, Jared Halter, Sydnie Schneider. 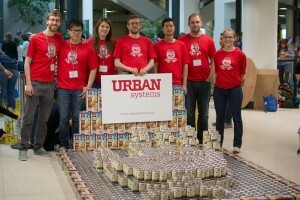 Tracey Smith, Deborah Chymyshyn, Abram Hartrick, Mike Hopkins, Steve Gear, Mike Driver, Rudy Schmidtke, Save-On Foods – 109th and Jasper.